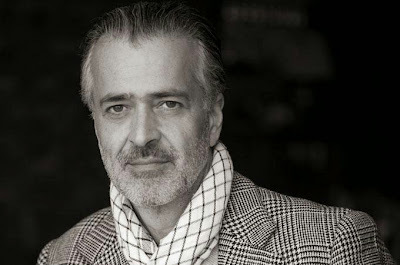 Wide Asleep in America: An Interview with Hooman Majd:Part 2: It’s the Economy & Threats Stupid! MUFTAH: So more of an evolution? HM: An evolution, yes, but it could be a dramatic evolution. There could be a big change. And part of it could be because the working class or the poor or even the middle class, who are suffering tremendously compared to the very wealthy, who are not suffering at all and, in fact, are doing well. You [could] see them demanding that change. Demanding that change at least to realize some sort of social justice. That was the foundation – one of the foundations – of the Islamic Revolution: social justice. Another was religion.For a lot of people, the religious aspect has been lost, at least for a lot of the intellectuals it has, along with the credibility of the ayatollahs. No one has the credibility of a Khomeini anymore and the ones that do are quiet; they’re not politically active. The ones that are politically active tend not to have that credibility. I think that if you lose social justice too – which is something Ahmadinejad campaigned on and the reason why he was popular I think for a while and still maintains a bit of that popularity – if you lose that, I don’t know what’s left. MUFTAH: How has Iran’s social safety net worked since the sanctions started? Is there visible poverty in Iran? Has the dismantling of government subsidies, which was an initiated spearheaded by Ahmadinejad, had a positive or negative effect? HM: The subsidies were removed even while I was there but the cash payments have continued. While the cash payments are not very meaningful for a family living in Tehran, they’re very meaningful for families living outside Tehran where the cost of living is dramatically lower. In many cases, the cash subsidy is a significant part of a family’s income. There is a large working class population in Iran and a large poor population, but the number of people who go hungry and are completely lost and have no way to find relief from either government agencies or otherwise, I don’t know what that is – I’m definitely not an expert in the socioeconomic implications of sanctions, subsidies and safety nets. I will say this, though: you don’t see the kind of widespread poverty in Iran as much as you see in other developing or third world countries. Iran is not a third world country; it’s definitely a developing country. In Tehran, a massive metropolis of over 12 million people, you don’t see the slums you see in Rio, for example, and Brazil is not considered a third world country either. This is nothing new, really. You didn’t see that under the previous presidency [of reformist cleric Mohammad Khatami] either. I think the system has been pretty good in terms of trying to take care of people to the extent it can. It’s not a socialist country and there is joblessness, but Iranians are entrepreneurial and they find their ways around the system, figuring out how to make things work and managing to scrape by. There are those who fall through the cracks, especially immigrants, Afghans, and drug addicts. By and large, I don’t think it’s the Ahmadinejad administration specifically that is responsible for the relative absence of complete destitution among the country’s citizens. Definitely outside of Tehran, in rural areas and small towns, Ahmadinejad’s popularity has been strong because he has instituted a lot of government projects and given loans to people for construction. So there is some of that. MUFTAH: Switch gears a bit, do you think there’s any chance of a war actually starting with Iran? Or do you think it’s all bluster? HM: I don’t know. I think there’s always a chance. I think there’s more of a chance that Israel will do something than there is that America would initiate a war. I just don’t think Obama wants to do it or is the kind of person who wants to start any war, even though he says, “all options are on the table.” I think he’d be happy if nothing happened in the next three years and he could just keep saying to the Israelis, “But I’m putting more sanctions on them! I’m crippling them!” And then he’s out of office. MUFTAH: With the curent policies against Iran, such as economic warfare, cyberwar, assassinations on the street, collective punishment of the Iranians themselves, and especially the middle class, does this just all lead inevitably toward actively promoting regime change and a new Iraq Liberation Act, this time for Iran? If there won’t be American military strikes, what’s the endgame for the United States? HM: At some point there has to be give somewhere. We’ve been thinking that for a long time. Indeed, Iran can probably survive for a number of years, if it can continue to export at least as much oil as it is today. But if that spigot shuts off completely, then I think you have serious problems. I don’t think that means they’re going to give in on the nuclear issue, I don’t think they will at all. But at what point does Iran need to do something in retaliation? I mean, when you have a complete embargo, I mean, that’s a form of war on a country. So that’s a danger I feel is present. There are all sorts of other factors as well. There’s Russia and China, which we haven’t mentioned yet. If sanctions become so stringent that there really is an embargo, I think we’ll start seeing a lot of Eastern countries drop off and I don’t think America can do a lot about that. I think that the Treasury Department can sanction any firm that does business with Iran but, at the end of the day, we don’t have that much pull with China and certainly not with Russia anymore. Something has to give in the next two or three years. Either we have to come to the conclusion that we’re going to live with Iran being a potential nuclear power, if not an actual nuclear power. And when I say that I don’t mean a nuclear-armed power, I mean being able to build a weapon if it chooses to do so. Or, else, we’ll say “No, we can’t live with that,” and there will be an escalation. MUFTAH: We’re often told that a nuclear-capable Iran would entrench the government, as if it’s currently on the verge of collapse and needs just one little, American nudge to push it over the edge. HM: The Iranian regime isn’t going anywhere any time soon. That I can say with a good amount of certainty. I think the actions we’re taking and that Israel is taking are doing more to entrench this regime than anything else. If the regime was on its last legs or was teetering, with all the internal squabbles and everything else, if there was no outside threat, if there were no sanctions, the chances of it being overthrown would be much higher than if you had all the threats. Look at America in the immediate aftermath of 9/11. I was in New York on 9/11. I was here the next day and after that. And America – and Americans – reacted to that with great fear. And justifiably so. George Bush’s popularity soared to over 90%. We were willing to give up everything because we were under attack. So just consider, for a lot of Iranians, Iran is under attack. And they’re willing to give up certain things. They’re not willing to fight a regime when it’s under attack. When I say they’re not willing, I don’t mean all Iranians – some people are willing to fight the regime. They’re just don’t constitute a majority of the people. Iranians simply don’t have the energy for it. They’re trying to get a job, to make a living under difficult circumstances. They’re trying to get medicine for their sick parent. And they can’t get that. They’re trying to live, first and foremost. So, to me, the argument that the more we sanction them, the more we cripple them, people are going to get fed up and overthrow the government just doesn’t make any sense. Do people here really imagine that Iranians are going to say, “Oh, these sanctions are hurting so bad and this government is so bad because they didn’t humbly bend to the demands of the United States”? I mean, are Iranians that stupid? It’s offensive to think this way. MUFTAH: That seems to be the game plan. HM: Yes, and that’s what they’re saying, that Iranians are so stupid and have so little dignity and pride in their culture and their nation that they will actually say, “I want this government to fall and I will do everything – I’m willing to fight and die – to make this government fall in order for us to be dictated to by the West.” That seems very far-fetched to me. That’s not to say there aren’t people who would like to see a much more reasonable approach or to have the Iranian government say, “Look, let’s figure out how to work with these guys. We don’t really need nuclear weapons, which the government itself has already made clear, but let’s put in whatever safety mechanisms they want, and if we have to suspend enrichment for a while, then let’s do that,” like Khatami said when he was in office. There are people who say, “Well, we should have a referendum and that the people of Iran should be asked whether they should be suffering for this nuclear issue.” But, does Obama have a referendum of whether we should have drones that kill American citizens? No. When it comes to national security issues and infrastructure, you don’t have referendums. You don’t have referendums on whether to go to war or not. We just go to war. And so does every country in world. So why does Iran have to be treated different from every other country? Why does Iran actually have to be more democratic than America is? I mean, in this regard, we set a standard for Iran that actually is higher than our own standard for democracy. MUFTAH: Explain the difference between what you term the Iranian regime and the Iranian government. But in Iran’s case it is fair to use two different words because there is a government and there’s also the nezaam, “the system.” Maybe that’s a better word, “the system,” than “regime.” But you can call it a regime, because it is a regime. It’s a unique system of government, and it’s flawed. But it’s also a work in progress that may yet end up being a legitimate, different, alternative system of governance. Or it may not, I don’t know. But it was certainly intended to be an alternative to the liberal democracies of the West and the communist governments of the East. Not by taking the best elements of either, but by being unique. And that was the idea. And I think it still is unique. It’s not a democracy in the sense that we think of a democracy, but it’s not a dictatorship either, in the sense that we define that. Do I think that it’s veered toward dictatorship? Yes. Are there dictatorial aspects of the regime? Absolutely. It’s a very complex issue. Certainly the way Khomeini envisioned it, it wasn’t supposed to be a dictatorship, although some would argue the Khomeini was a dictator himself because whatever he said went at the end of the day. And that’s a fair argument to make. But I would argue that there’s enough of a difference in the political ideology of the people who are in leadership positions in Iran – and there are multiple power centers – that it’s not a complete dictatorship. MUFTAH: Are there effective checks and balances? HM: There are checks and balances, theoretically. Of course, since 2009, things have changed quite a bit, substantially. But in terms of how things should work in theory, the Iranian government mirrors in some ways our system in that there’s a judiciary, there’s an executive branch and there’s a legislative branch. The legislative branch is certainly more independent than it was under the Shah. Under the Shah, the parliament was a rubber stamp. Some would argue that today, parliament is a rubber stamp for the Supreme Leader, but I would argue that it’s not quite that way. Sometimes the Supreme Leader has to intervene, sometimes the Expediency Council has to intervene in disputes that happen in parliament. In parliament you have genuine opposition figures, though they’re in the minority now. So it’s not quite the rubber stamp that people might imagine it to be. The judiciary is also supposed to independent. The three branches are certainly independent from each other. That independence has been proven. And even since 2009, it’s been proven in the political battles that we’ve seen between them. The question is whether the Supreme Leader has dictatorial powers or not. I would say that he does have dictatorial powers, but I would also argue that he does not exercise them often. MUFTAH: If there was actually the motivation and desire within the U.S. government to reset our Iran policy completely, what would it need to do to actually start engaging productively with Iran? HM: The biggest problem is that we’re just wielding a big stick with Iran and not offering very much in terms of any kind of meaningful dialogue. You’ve got to listen to what Iran says, and this is very separate from human rights and civil rights and all the other issues that we have with Iran, you’ve got to listen to what Iran says and take it seriously. When they say, “We’re not going to negotiate with a gun to our heads,” we should realize that that makes sense. No one wants to negotiate with a gun to their head. We always say we don’t negotiate with terrorists. The reason we don’t negotiate with terrorists is we don’t want to negotiate with someone who’s got a gun to our head, or who threatens to do something to us if we don’t do what they want. It’s the same thing. What we’re saying to Iran is, “Do this, negotiate with us and while you’re deciding whether to do that or not, we’re just going to keep turning the screws, until there’s so much pain that you have to do what we want.” Well, that’s not a basis for negotiation. The first thing the U.S. government should say is, “No, not all options are on the table. The option of war is not on the table.” When they say “all options are on the table,” what does that mean? Does that mean they’ll nuke Iran? That’s an option, isn’t it? We could nuke Iran. We could turn it into glass. When you say all options are on the table – all – well that’s an option, so we could nuke Iran. How about first taking that one off the table? Then let’s say, we’re not gong to go to war with Iran. Take that option off the table next. There is no military solution to this conflict. We know that. Obama knows that. So why do we keep saying that option is there, that we could bomb Iran into submission? Or we could bomb its nuclear program out of existence? Well, we can’t. Every military analyst worth his salt has said that. We could set it back, but we can’t actually bomb it out of existence. So take those options off the table too. And then the Iranians would say, “Well, yeah sure we can talk about that, but can you release the prisoners in Guantanamo, please? Could you please not drone people?” And then there’d be some back and forth and there’d be some negotiation. That’s what negotiations are about. The whole U.S. attitude has been an imperialist one whether it was Bush or Clinton before him and now Obama. It’s this imperial attitude that “we’re right and they’re wrong and they have to submit to our will,” which is counterproductive. It’s just not the basis for diplomacy or negotiations, or a healthier world environment. It’s not a basis for encouraging human rights in Iran either, which we are and should be concerned about. If I’m talking as an American, I’m concerned about human rights everywhere in the world, not just Iran. If I’m talking as an Iranian-American, of course, Iran is a place that is closer to my heart and yes, it’s human rights situation is worrisome. But as long as we’re an enemy of Iran and as long as we continue to threaten Iran, it’s not going to help the human rights issue. The question is whether to separate these two issues. I think that’s a fair debate to have, but I think we should separate the two. But I also don’t think that American progressives should feel they don’t ever need to address human rights or civil rights in Iran because they’re giving credence to the imperialists if they do. I don’t think that’s right either. I think they should make these criticisms and that Iranians should stand up and say what the government does is wrong. I mean, you can’t defend some actions of the Iranian regime. They’re impossible to defend if you’re any kind of decent human being. So I think we do have to stand up and say we do want those changes and I think people in the Iranian diaspora can be effective in having influence on the Iranian government, but not as long as it’s all intertwined with national security issues as well. All of a sudden, the nuclear issue, human rights, and regime change become intertwined and then we’re not moving forward on anything. I think that if the nuclear issue were resolved, the human rights situation would be [next]. Actually, that’s one of Khamenei’s fears. He’s always said this was all an excuse because, if we resolve the nuclear issue, the next thing the Americans will come back with is human rights. And he’s right! You know, we had relations with the Soviet Union, not great relations, but we had relations. We had our presidents meet with their premiers. And we always brought up human rights and we were able to help in some cases with refugees from the Soviet Union and in some cases we weren’t able to help. But we had relations and we didn’t go to war and we didn’t threaten to bomb them every five minutes. And they actually had nukes. What does it mean to be a "moderate" among the followers of "Khatt-e Emam"? Does it mean support for deadly crackdowns on student demonstrators? Does it mean support for mandatory hejab (potentially punishable by 80 lashes of the whip)? Does it mean denouncing your opponents as "Corrupters of the Earth" and "At War with God?" Does it mean supporting the executions of tens of thousands of Iranian men and women? Does it mean little to no freedom of speech, press, assembly, and religion? Does it mean ultimate authority resting with and only with clerical leaders-for-life? Does it mean no legal equality for women? Why aren't the Western media asking these questions, instead of buying the line that Rouhani is a "moderate" (the same fact-free shpiel we heard about Khatami being a "reformer" in 1997)?